Wish you all a happy, healthy and prosperous New Year! 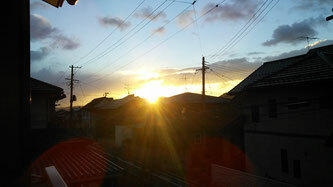 Fine and crisp morning here in Fukushima City. The first sunrise of the year at 6:53am. On the other hand, Mt. Azuma in the west is clouded over.